To get in the mood for Spring, I opted for black (you can see the irony in that sentence right). Bright nails always bother me but I admire them on other people, nudes and darks is where its at. 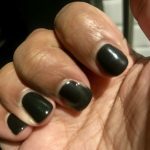 Essentially Calgel is different from your regular gel nail formula. It is a one phase system that creates the perfect nail by building and correcting ridged or broken nails. It doesn’t prevent nail growth and best of all it can be filled in. 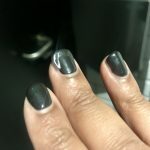 The annoying thing with other brands is that you have to soak them off and get a new set put in which is damaging to your nails in the long run. 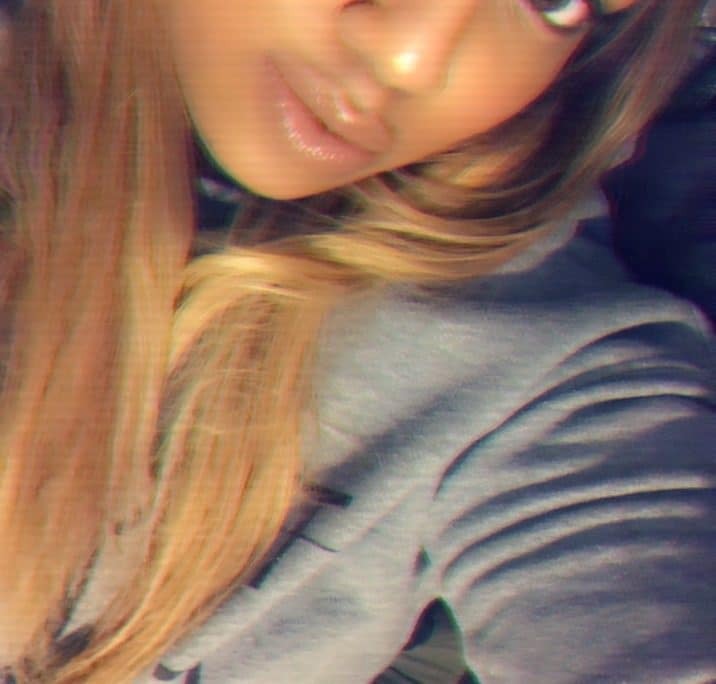 I can’t wait to find a salon or nail tech that offers them near me. Sadly my nail got caught on something and started to lift but the rest of my nails still looked good though. I sealed it in with some clear nail varnish and it held up for a few more days. 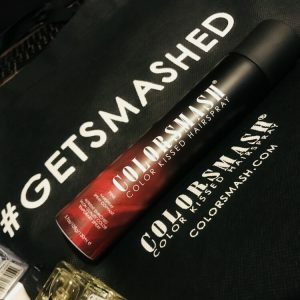 I didn’t get a chance to get my hair done at the event however I was given a can of the Colorsmash Kissed Hairspray to try. 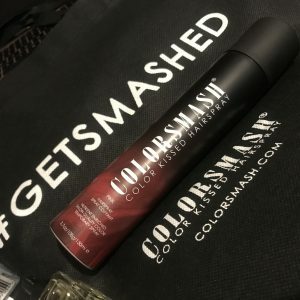 I recently bleached my hair in December and it has given me a new lease on life; however Colorsmash is going to make me unveil my fun side this summer. Best of all, its temporary, so if you’re like me and have commitment issues (that’s for another post), this is a great way to experiment and change up your look. Just how long before I go back to black? Colorsmash comes in four colours – Pink, Violet, Teal and Indigo and can be mixed and matched to suit your personality… or outfit. 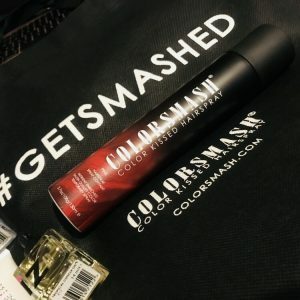 Thank you to Catalyst PR for inviting me and to Calgel/Colorsmash for the manicure and goodies!